Music producer, Spellz believes that the average song in Nigeria has a short life span. Producer Benjamin Obadje, popularly known as Spellz, claims that the lifespan of a song in Nigeria is 3 months. He said this while explaining how the hit song 'Malo', which features Wizkid and Tiwa Savage was originally his. "In fact, I don’t think we’ve seen the best of the song. When I produced Wande Coal’s 'Iskaba' last year, I knew it would be a big song. A year after we did it, awards are still coming in for the song. How many songs do you produce and a year after, they are still relevant? 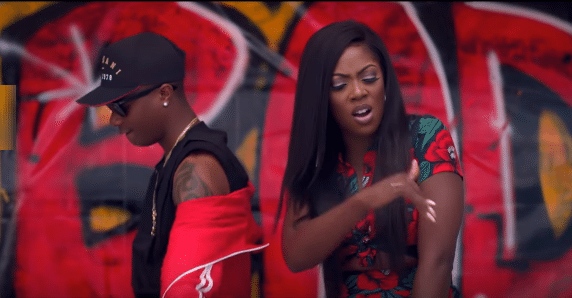 Explaining how the monster hit 'Malo' came to be, Spellz explained that due to their tight schedules, he could not meet with Tiwa Savage to record songs for her EP, so he decided to use a song he already had. "I did two songs on Tiwa’s EP. 'Malo' was originally my song that I planned to release this year. So, when we wanted to put out her EP, she needed one more song. I was not in Nigeria at that time and Tiwa was in New York too. It was difficult to work together so I said we should add 'Malo' to the EP." The beat maker also revealed that everyone on the song contributed to the final track. He said: "When we make songs, we come together. At the end of the day, we are only after the good of the song. So, everyone brought their own ideas for the good of 'Malo'"
The video for the song was directed by London based, Meji Alabi, who has shot videos for Seyi Shay, Asa, Maleek Beery and Shaydee.